Grumpjaw charges to a target location, dealing crystal damage and slowing enemies in an area upon reaching his destination. Grumpjaw deals bonus damage for each stack of Living Armor. Grumpjaw leaps toward his target and attacks them. Afterward, he gains bonus weapon damage and attack speed for several seconds. Grumpjaw lunges forward, grabbing the first enemy hero in his path and devouring them whole. While the enemy is inside Grumpjaw’s belly, they are unable to move or act and their vision range is reduced to zero. After a few seconds, Grumpjaw will spit the enemy out in the direction he is facing. Grumpjaw can reactivate the ability to spit the enemy out early in a direction of his choice. 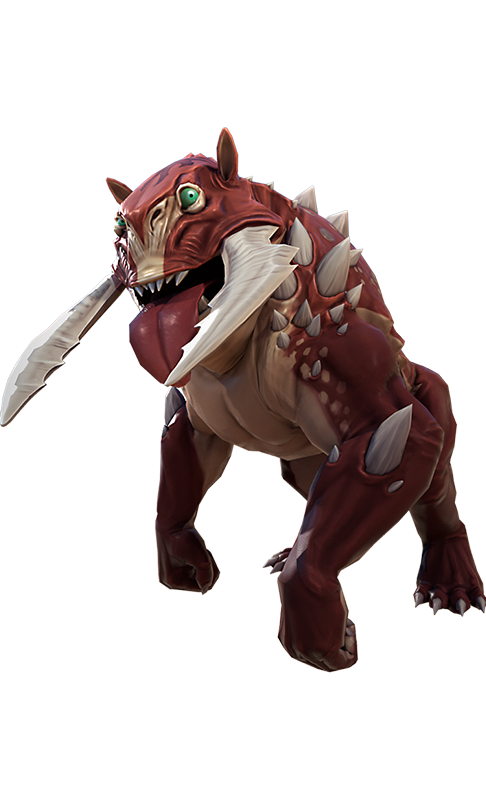 If Grumpjaw is stunned, killed, or otherwise interrupted while eating, he will release his victim early.